I forgot to announce the formation of the National Restoration Party (NAREP). We are all tired of course of these new one man parties without any clear understanding that the political space in Zambia does not allow for more than two strong parties at a time. But all friends of the Zambian Economist should be happy because the NAREP has an interesting weblink : www.newzambia.org . If that looks familiar its because for over three years the Zambian Economist has owned a related weblink www.newzambia.com which redirects here. Those who have been with us from way back will recall that at one point we used to be called "New Zambia". All being well then we hope NAREP will become so popular that visitors will start accidentally spilling over to us! Their prosperity is clearly ours! Sesheke residents have formed a protest committee over the MMD’s alleged abuse of Constituency Development Funds (CDF) amounting to over K500m. The residents allege that they information indicating that 58 named MMD cadres had shared the CDF using ‘ghost project proposals’ to the council. More detail via The Post. Re-opening Munali Nickel Mine, which is majority owned by Chinese Jinchuan Mining Group, on Friday, President Banda said his government was keen to ensure that local communities directly derive benefits arising from investment in their areas. He directed the minister of mines Maxwell Mwale to closely monitor the performance of each mining company to ensure that the mines were benefiting the locals. Just how is Mr Mwale going to fulfill this new directive? What levers does Mr Mwale have that will ensure that local mining companies "benefit the locals"? There's nothing on the statute books that could deliver what the President is asking for - we have long argued this point. In fact the only legislative measure that ensures local authorities benefit is found in the Mines and Mineral Development Act 2008 (para 136) : "The Minister responsible for Finance shall, in consultation with the Minister [responsible for Mines], a mineral royalty sharing scheme for distributing royalty revenues". This has nothing to do with mining companies. It has everything do with the failure of government to implement its own legislation as Hon Joseph Katema MP and others continue to note. Having visited some of the parks and game management areas, we feel what needs to be sorted out is the distribution of our elephant and hence support the experts from CITES that turned down our government's request. Research shows that our elephant population is barely over 30,000 compared to 100,000 in the 1970’s. Obviously the human population could have been quiet low then, meaning the human -wildlife conflict was less but the the human population growth has been rapid in the urban areas and not in the countryside where these animals are found. 30 to 40 years ago , the distribution of elephants was even throughout the nine provinces, while today their geographical distribution is from the south eastern parts of the Eastern province, through the south of Lusaka Province and to the southern parts of Southern and Western Provinces. There are some numbers that are found in central Zambia around the Kafue National Park and some parts north of Sesheke district. The Zambian government could take the alternative route of redistribution instead of trying to convince the technocrats at CITES reduce the number and sell the ivory. They can also consider seeking finances from CITES and other donors to use in relocating the elephants to areas like the Liuwa which have very small numbers of the animals if they are still even there. We are however aware that some animals may not do very well in certain habitats but we also are that organisations like CITES, ZAWA do have experts who are able to carry out environmental and habitat assessment to ascertain the viability of projects like redistribution of of our elephant. The annual rate of inflation, as measured by the all items Consumer Price Index (CPI), increased by 0.4 of a percentage point from 9.8 percent in February 2010 to 10.2 percent in March 2010. The increase of 0.4 of a percentage point in the annual inflation rate in February 2010 is attributed to a result of "increases in food products and public transport". This clearly part of the delayed effect of the January fuel hike. More detail via the CSO Monthly Bulletin. A feel good story. Zambia last week resumed exports of canned food into southern Africa after the revival of a 200-250 tonne agro-processing plant that collapsed during privatisation of state firms in the 1990s. The Economist on the Paul Kagame achievements which have come "at the expense of freedom". Mr Kagame and his government are apparently stifling political and press freedom in advance of a presidential election due in August. Opposition parties have been forbidden to “use words or facts that defame other politicians”, with their members spied on and bullied. Still on Rwanda, among those vying for the top job is Victoire Ingabire who came back home in January 2010 after 16 years in exile in the Netherlands and immediately declared her interest in the country’s top political job. Rwanda has one of the highest female representation in the world, but the top jobs remain illusive to women. I find evidence that foreign firms perform better than domestic ones, however, I do not find evidence for the presence of positive ‘spillovers’ of foreign investors to the domestic firms. In contrast, I find evidence which suggests no ‘spillovers’ for Bulgaria and Romania and negative ‘spillovers’ for Poland on average. I suggest that the competition effect dominates the technological spillover effect in Poland. Once contolled for the absorptive capacity of firms, I report evidence of positive spillovers of FDI for R&D intensive firms in Bulgaria and Poland. While previous studies have found positive spillovers from DFI to domestic firms, which motivated policies to attract FDI, the results in this paper suggest that policies to attract DFI might lead to perverse effects in the short run. This is in line with the previous paper on Ghana. That post also provides thoughts on the implications for Zambian policy. The question of Zambia declaring itself a Christian Nation is becoming a hot topic in some circles. Notable among those, is a piece posted on popular UK Zambians’ website (26th February, 2010) by Malama Katulwende (MK) – one of the site’s columnists. Another discussion has erupted from the Zambian Economist review of Mark Burke’s book Glimmer of Hope. In his book – kind of his memoir from his stint as a volunteer teacher at Chasa Secondary School in the Eastern Province, Zambia - Burke makes some sarcastic comments on Zambian Christians. To paraphrase Burke: - he is basically lamenting the double standard morals of these, supposedly people of God have. He claims that they begged for money from him, are sinful and don’t seem to care much about the suffering masses especially those in rural areas. According to him, if they did, actions spoke a different language. For had they really cared, they would have assisted the country to inculcate higher moral standards, which in turn would have minimized vices like corruption, HIV/Aids, STDs and so on. It was a surprise for him to see so many prostitutes, drunks, beggars and the abundant poverty in such a Christian nation. In short, Zambia being a Christian country is like a joke. A passionate case for retaining the "Christian nation" declaration in the Constitution by Charles Kachikoti, the Chief Policy Analyst for Press and Public Relations at State House. There's a lot at stake here, not least because it is penned by the President's Number 1 adviser! Although the topic itself is vitally important, of equal importance is the quality of the argument, as it tells us something about the quality of advice the President regularly receives. Read on..
"You, my God and Lord, are my shield, on You I rely. On You I will build; never leave me,So that I may remain pious, your servant at all moments,dispelling the tyranny that wounds my heart." That is not a Church hymn or contemporary spiritual song; it is a stanza of the national anthem of The Netherlands. The flourishing nations that Zambians admire; peoples that win acclaim in Africa for their massive scientific and technological advancement, hemispheres that draw accolades in endless ripples among Third World countries for their colossal economic prosperity started out on a biblical foundation. They were Christian nations founded on the values and precepts of the word of God, time-tested and weather-proven teachings. They accelerated and matured on a body of life truths that imbued in them the attitude and mentality that has shaped their entire ethos to the solid form that we in the Third World now all aspire to. The whole system of governance that the West is grounded on, with judiciary, legislature and executive arms of government, the democratic ideal we are pursuing after, was given to them by the Bible which states the following about the living God in Isaiah 33:22 - "For the Lord is our judge, the Lord is our lawgiver, the Lord is our king; it is He who will save us." This is precisely why the covenant that Zambia entered into with God, as of December 29, 1992, must be allowed to hold. The positive results of such a position are visible beyond both reasonable and unreasonable doubt in the high-strung economies and robust political arrangements in the West. From the shafts of strife and war, Make her praises heard afar, God defend New Zealand." The Greek national anthem describes the land as "divinely restored." The English anthem God Save the Queen declares "on thee our hopes we fix," and prays that God arises and scatters England's enemies "and make them fall, confound their politics, God save us all." African states like Kenya have national anthems that are prayers: "O God of all creation, Bless this our land and nation. Justice be our shield and defender, May we dwell in unity, Peace and liberty," as in the opening stanza. The Nigerian anthem is a prayer with a significant line in stanza two: "Help our youths the truth to know." These are the youth who are now mature and running incredibly massive churches and businesses in that country and beyond. The composition of the Zambian National Anthem was centred on the nationwide consciousness of God. It was premised on Biblical expressions of praises to God as found in the English language, notably the 1611 King James Version of the Bible. God was recognised to be the maker and keeper of Zambia and He was invited to bless the great nation. It was around the consciousness of God that this anthem was crafted. 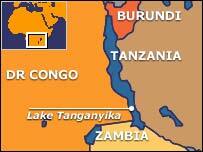 The name Zambia was derived from Zambezi, the name of the fourth largest river on the continent of Africa. The name Zambezi derives from three ethnical expressions originating among the peoples of North-Western Province. 'Yambeji' means 'the best of everything'. 'Mwambeji' means 'river of God'. 'Nzambe Nzi' means 'God come'. And this is a river that practically embraces the country on its way to the Indian Ocean. By interpretation, "Zambia" would mean: 'God come and bring to us the best of everything through the river God'. Scottish explorer David Livingstone, after whom the tourist capital of Zambia was named, described the Zambezi River as a 'Gospel Highway' when he first saw it. Even the first three presidents of Zambia had names of significant biblical import (David, Jacob and Levy) given the foundational roles they played in their time. It was from this historical platform that Zambia was to become an oasis of peace in the southern African region. Zambia attained her independence in October 1964 and played a dominant role in securing the liberation of colonies that surrounded it until the early 1990s. Zambia hosted the following liberation movements that are now ruling parties in their countries: the South West African People's Organisation (SWAPO) of Namibia; FRELIMO of Mozambique; Zimbabwe African National Union-Patriotic Front (ZANU-PF) of Zimbabwe; Popular Movement for the Liberation of Angola (MPLA) of Angola and the African National Congress (ANC) of South Africa. In the 1980s Zambia hosted up to 500 ,000 refugees from some of these countries at such locations as Ukwimi in Eastern Province and Maheba in North Western Province. In spite of these factors, in which Zambia suffered from violent incursions by the Selous Scouts under Southern Rhodesia Prime Minister Ian Smith, Renamo forces opposed to Frelimo in Mozambique and Unita rebels fighting the MPLA government in Angola, Zambia did not slip into a civil war or erupted into some form of nationwide bloodshed. Not even the food riots of 1986 and 1990 or the multi-party revolution of 1991 plunged Zambia into chaos. All this is proof of a country developing and growing under unusual conditions of national peace, attributable to divine providence. The Christian Declaration does not suggest that all the people living in the various parts of the nation are Christians. Neither does it imply that they all attend Church. The declaration is a vision statement and values statement all rolled into one. It espouses a national vision, a people's mission and family values as encapsulated in the lyrics of the national anthem. In truth, it is the national anthem that declared Zambia a Christian nation before Dr Frederick Jacob Titus Chiluba did. It is a statement of strategic intent. It is a rallying point giving credence to national development plans and bringing moral sensitivity into governance. It is Zambia's view of the future. The reasons for the declaration are historical, seen as follows: Zambia stands geographically at the heart of the southern African region. Likewise Zambia is centrally strategic to the goals and intents of corporate business, religion and even international crime. That being the case, it makes tremendous sense to position Zambia in clear ideological and cultural terms if only to define important parameters before external ideologies and cultural influences do so. Two major telecommunications projects are underway in Africa, as two examples of the strategic importance of Zambia's geo-location. Seacom is a mostly American project providing an undersea cable from northern to Southern Africa along the Indian Ocean coastline. ast African Submarine Cable System (EASSy) is another project that has brought together national telecoms providers in all the countries in the eastern half of Africa. The EASSy member countries - who have invested money of USD$270 million in the project - will connect into the underwater cable running from Djibouti to Mthunzini near Durban in South Africa. For nations south of the Zambezi, Zambia is the vital gateway to the east and the north and vice-versa. Zambia will connect its own national optic fibre network to those of neighbouring states into the EASSy network. This is a reflection of business thinking in various other economic sectors such as mining and banking in which considerable foreign investment has been noted. That certain religions aim for political control of nations is not a secret. Religions opposed to Christianity have poured disapproval and ridicule on the declaration because it has served to complicate their goals and intents. Many of them have tried to sway large swathes of the Zambian population towards themselves by employing the jobless in their genuine economic ventures with the aim of making inroads into the collective psyche. Cross border trucking is a plausible indicator of the value Zambia has towards all kinds of international organisations. Truckers ply route that begin in Durban and end up in Nairobi and beyond. This is why organisations like World Vision and Family Health International (through Society for Family Health) have operated programmes to tackle HIV/AIDS among truck drivers. Zambia is a central passageway for child trafficking, woman trafficking, drug trafficking, car thefts and other cross-border vices. The arrival of political pluralism in 1991 liberated the media market to such an extent that international media platforms such as paid TV channels and the Internet seeped into the country. That ran parallel to the plethora of private-ran (including religious-based) local radio and television stations, newspapers and magazines that emerged with varying degrees of success. Zambia is a noted example of Press freedom on the African continent. Zambia stands at the threshold of tremendous economic change. Such as yet unexploited natural resources as oil, gold and diamond are now emerging as practical possibilities in a land heavily dependent on copper mining. That economic change necessarily needs to be steered with a common vision and attitude as upheld in the Declaration. At least two generations (from persons born in the 1950s to those born in the 1990s) have been decimated by HIV/AIDS and related opportunistic infections. The society is in a state of socio-cultural and socio-economic recovery on these grounds. The impact of the deaths has been catastrophic, giving rise to palpable helplessness and hopelessness among orphans, widows and the vulnerable senior citizens. Former World Vision national director Bwalya Melu, who lost three brothers and sisters-in-law in a short period, once described Zambia as "a nation in mourning." The moral rearmament that Second Republican president Dr Chiluba spoke of at his inauguration in November 1991 has not even started, and it needs to be coherently pursued with an over-arching theme such as is captured in the declaration. This is an area in which such divinely imbued human attributes of compassion, hope, empathy and determination need to be infused into the entire economic recovery effort. Of all religions existent in Zambia, Christianity has been the most culturally compatible, profitable and enduring. There are nations that are constitutionally voodoo states, Islamic Republics or secular-atheist nations. One of these positions will fill the void should Zambia reach a point where the covenant with God is revoked. Given that satanism has insidiously increased around key urban areas, and given that witchcraft is already widespread, satanism would stand a good chance of sweeping into the open spaces and turning Zambia into satanist nation. "Do what thou wilt" is a key satanist injunction among followers worldwide, therefore human rights as we know them will vastly transform until we become a law-less state, or a republic without laws. This is a critical hour when the nation direly needs to hold together through to the next general elections and the uncertain beyond: we need the salting influence of the scriptures and Church over national affairs in increasing doses. For it is widely acknowledged that the depth, breadth and length of our national peace are not a result of human initiative. You cannot expect the sanity and sanguinity of our Christian heritage to prevail should one group of Zambians decide to nullify the nation's allegiance to the Lamb of God. Is there a better blueprint for any nation than the Bible? No. While paying my ticket (you have to pay on the spot), the lady told us that we could pay half the amount of the ticket, but that we would not get a receipt. That means the money would go into her pocket, and that there would be no record of my wrong. It was very tempting to just pay her the money and move on. The way they said it made bribery feel innocent and harmless. I internally debated what to do for about a minute. I finally decided to pay the full amount for two reasons. First, I knew that it was the right thing to do. I could not contribute to a corrupt society. I wish this was the main reason that I paid the full amount, but it was not. The main reason was that I would much rather have more of my money go to the Zambian government than some of my money to a corrupt policewoman. If she had been nice to me, maybe I would have decided to pay her the pocket money. I find David's main reason interesting because it assumes that there's no corruption down the command chain. In short there's no guarantee that money was really going anywhere other than in the pocket of the lady officer's superior! We might even extrapolate that the fact that the lady was able to ask for the bribe was because the commanding officers are comfortable with corruption. I recall doing the same journey as David. My wife and I had "hired" a taxi from Lusaka to drive us to Ndola and back. The driver had forgotten to get some sort of permit that allowed taxis to drive outside Lusaka. On our way to Ndola, we were stopped by some police officers. The officer tried to persuade the driver that if he did not "drop something" to him, his superior would demand a greater "price". Mr D. Mwila (Chipili) asked the Vice-President and Minister of Justice: (a)how much money the Zambian Government intended to contribute to the economic recovery of Zimbabwe; (b)why the Government decided to make this contribution; and (c)whether this contribution would be beneficial to the Zambian people. (a) in January 2009, the Government released K2 billion to assist fight the cholera outbreak in Zimbabwe. Of this amount, K667 million was a one-off donation of medical supplies and equipment to the Zimbabwean Government and the balance of K1.33 billion was directed at supporting cholera prevention activities in the districts bordering Zimbabwe. (b) a sum of US$600,000 or K2,773 billion (using the current exchange rate of K4,622 per US dollar), in humanitarian aid, will be given to Zimbabwe by the end of this year. By the end of the year, the Government projects to contribute approximately K3.4 billion. Mr Speaker, with regard to the assistance given to fight cholera, the following is the background. In December, 2008, Zimbabwe experienced a serious outbreak of cholera which affected almost all its provinces. This, in turn, started to affect some of our districts bordering Zimbabwe in the Southern Province. This called for immediate action so as to contain the outbreak as it was going to affect Siavonga, Livingstone and Sinazongwe districts. Consequently, the Zambian Government, through the Ministry of Health and other stakeholders, was obliged to take action by providing cholera medical supplies, materials and equipment to the Zimbabwean Government. In addition, surveillance and preventive activities to contain the cholera outbreak were done in the affected districts of the Southern Province. During the same period, the Southern African Development Community (SADC), which Zambia is a member of, met and tabled the problem of the cholera outbreak in Zimbabwe and a resolution was passed for all the SADC member states, especially those bordering Zimbabwe, to assist it contain the outbreak. Mr D. Mwila: Mr Speaker, as you are aware, Lusaka has been hit by floods and people have started dying. Yesterday, the hon. Minister of Health reported that we had 108 cholera patients. Would the hon. Minister, therefore, explain to this House and the nation the criteria used to give money to the Zimbabwean Government? The Minister of Home Affairs (Mr Mangani): Mr Speaker, the criterion is that Zimbabwe is a neighbour and as such we are obliged to assist our neighbours when they have problems. Secondly, in our reply, we have indicated that if we had not assisted Zimbabwe, cholera was going to spread to some of our districts along the border with Zimbabwe and that was going to cause problems for Zambia as well. Therefore, the criteria were based on humanitarian grounds and our SADC membership. Whenever we have a problem, other SADC members come to our aid as well and therefore, we cannot isolate ourselves from the regional family. Mr Kambwili (Roan): Mr Speaker, Zambia, Zimbabwe and Namibia share borders on the same stretch. May I know if Botswana and Namibia also helped Zimbabwe. Mr Mangani: Mr Speaker, I am not able to answer on behalf of those countries. If the hon. Member of Parliament is interested in knowing that, he can visit their embassies and get the details. Mr Kapeya (Mpika Central): Mr Speaker, Zambia contributed a lot to the liberation struggle of Zimbabwe. What reward have we received for our contribution? Mr Mangani: Mr Speaker, when Zambia was contributing to the liberation struggle of Zimbabwe, we did not expect any monetary gains. Mr Mangani: We did that on humanitarian grounds because Zimbabweans are our brothers. When they got their independence, we were proud that our brothers were free. Therefore, as Zambians, we are happy that Zimbabwe is free and there is nothing that we can talk about in terms of monetary gains apart from appreciating the freedom of our brothers. Colonel Chanda (Kanyama): Mr Speaker, may I find out from the hon. Minister what budgetary vote was used in this House for this generous gesture to Zimbabwe because we are talking about public funds being used. Mr Mangani: Mr Speaker, we used contingency funds. Ms Kapata: Mr Speaker, the hon. Minister has not come out clearly on the rationale behind the decision to assist Zimbabwe when, here, in Zambia, we have similar situations. I will give a very good example of the people of Mazyopa who have lived in tents since 2007. Mr Mangani: Mr Speaker, if the hon. Member of Parliament for Mandevu visits the cholera centres, she will find a number of organisations assisting us. In the same vein, Zambia cannot just sit idle when other countries are facing problems. Therefore, Zambia is also being assisted because we have been good to others. Mr Milupi (Luena): Mr Speaker, will the hon. Minister confirm that assisting other countries is a matter of policy for this Government? In the same line, would he indicate to this House other neighbouring countries that have received similar assistance other than Zimbabwe? Mr Mangani: Mr Speaker, indeed, the policy of this Government is to assist our neighbours, hence Zambia’s great sacrifice to liberate the Southern Region. Apart from Zimbabwe, we fought very hard to liberate Mozambique, South Africa and other neighbours. Therefore, Zambia has done a lot in terms of assisting its neighbouring countries. Mr Lubinda (Kabwata): Mr Speaker, the cholera outbreak in Zimbabwe broke out at the beginning of 2009 and, as we have been informed, the Zambian Government contributed a total of K2 billion in the form of materials and drugs. Given that the cholera situation in Zimbabwe has been contained and, in the meantime, the people of Kabwata, Mandevu and Kanyama constituencies, including Misisi Compound, are in floods and at risk of contracting cholera, would the hon. Minister and his Government consider withdrawing the offer of the US$600,000.00 which they intend to give to Zimbabwe in 2010? Mr Mangani: … by resettling some of the affected people to the Independence Stadium. You can go there and check what is happening. So far, the programme is running very well. The issue of the assistance being rendered to the neighbouring country is not conditional. I thank you, Sir. In the last two weeks two weeks I have been gripped by 1492: The Year Our World Began , by Felipe Fernandez-Armesto. This is the second book I have read by the renowed historian - the last was the incredible Civilisations. 1492 argues that the process of forging the new modern world begun in 1492! Fernandez-Armesto traces key elements of the modern world back to events of that year. He takes the reader on a journey around the globe, drawing the together the threads that began to bind the planet. The tour begins in Granada, where the last Islamic kingdom in Europe collapsed, then moves to Timbuku, where a new Muslim empire triumphed. With Portuguese explorers, we visit the court of the first Christian king in the Congo. He then traces the frozen frontiers of the dynamic, bloody Russia of Ivan the Great, and explores the mystical poets in Asia. The book is perhaps not on the level of "Civilisations", but it is well worth the read. It will appeal mostly to those who love world, maritime or explorations history. At 346 pages, you will want to allow plenty of reading time. On the reading list for next few weeks , I have very interesting books covering many areas from philosophy to China in Africa. Largely new works but I have thrown in two apparent classics in there. One that stands out is the acclaimed new release Warrior Princess penned by our Zambian sister Princess Kasune Zulu . That book is scheduled for full review in April. Among the endorsers includes Dr Mannasseh Phiri who writes : "This is the story of the life of Princess Kasune Zulu--from very humble and simple beginnings in a little village in Chibombo central Zambia,through early marriage, infection with HIV, fiery AIDS activism to meeting with the world's most powerful men and women--is a compelling story of a warrior woman's determination not to be defeated by a deadly virus. Princess says of her infection that the HIV running in her bloodstream is a mere guest in her body and her life; she has refused to let the guest take over her life! This is the story of a Zambian woman who is positive about being positive. It is a story everyone must read." Pick up that book so that by the time the review is penned in April we can have an informed discussion. "After consulting the people and stakeholders, we found that people needed ambulances. The 4x4 ambulances are ideal for the Mpulungu terrain. They were bought for K157 million both using CDF, they are tax-free. They are almost new vehicles. They were got from Durban, South Africa...We are grateful to ZRA because they are tax free. The ambulances will go a long way to help save the lives of people especially pregnant women, who at times use bicycles to get to the hospitals."